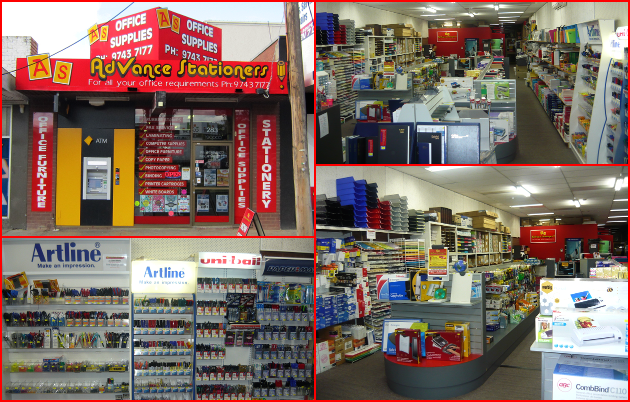 Advance Stationers is your supplier of office and stationery products catering for all your work, home and school needs. We have a wide range of stationery and general office products at competitive prices available in store at 283 High Street, Melton VIC 3337 or here online. Order now online using the menu on the left or the product search feature or contact us for account enquiries and further information.